Reading is everything… Try to find the next book with our blog!! Nine year old Jessie and her seven year old brother Ethan are the new kids to arrive on John’s Island in South Carolina. Their family just moved into a 100 year old farmhouse that has a mysterious attic full of old toys and a magical wooden chest! When Jessie and Ethan open the old wooden chest they see five items inside. After Jessie touches a gold pocket watch inside the chest a note written in enchanted words on old parchment paper suddenly appears floating inside the chest. Jessie and Ethan read the magical words on the note and in an instant the children disappear from the attic. Travel through time and space on an adventure with Jessie and Ethan into the 1950’s as they meet an exciting and brave new friend and learn the mystery behind the gold pocket watch in book one of The Magic Chest Book Series: Sands of Time. D.G. 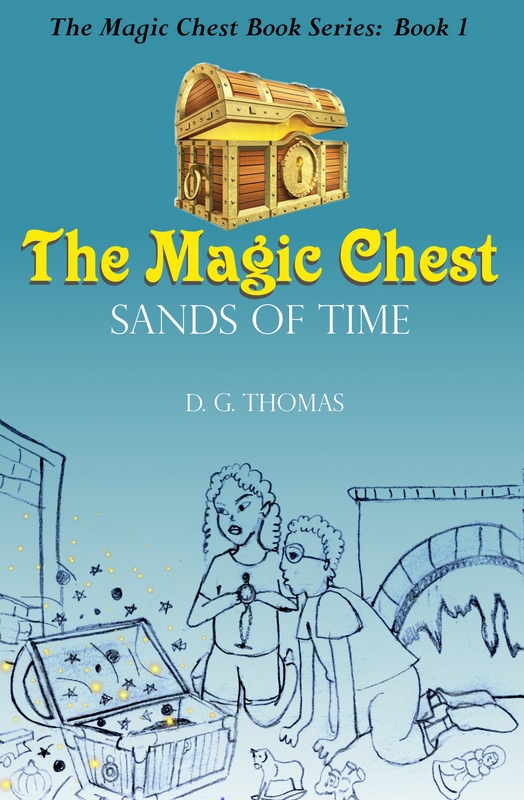 Thomas’ first book, The Magic Chest: Sands of Time, grew out of a love for telling bedtime stories to the authors’ children. Thomas resides in Kentucky, where the grass isn’t really blue, with a daughter and son who also love to go on brother and sister adventures together. Thanks so much for hosting my book today! Follow and find out more! I Am Rooting for these Guys!